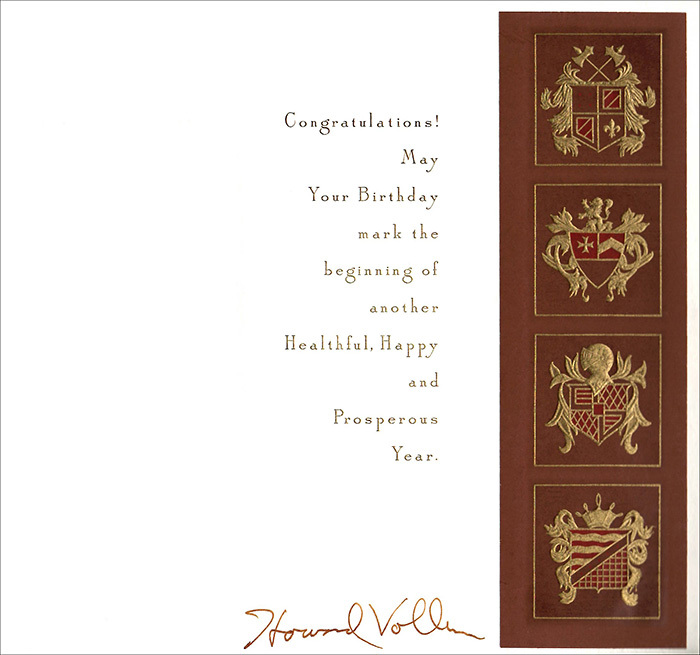 Howard Vollum used to send birthday cards to all employees and this continued through the early 1970s. 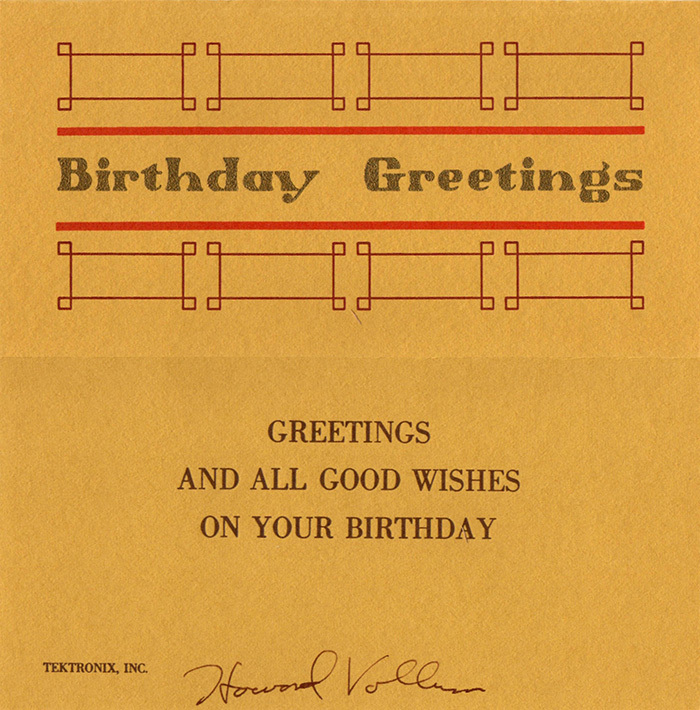 We have several birthday cards at the museum. This card was sent in 1970 and the top portion is the front of the card and the bottom portion is the inside of the card. 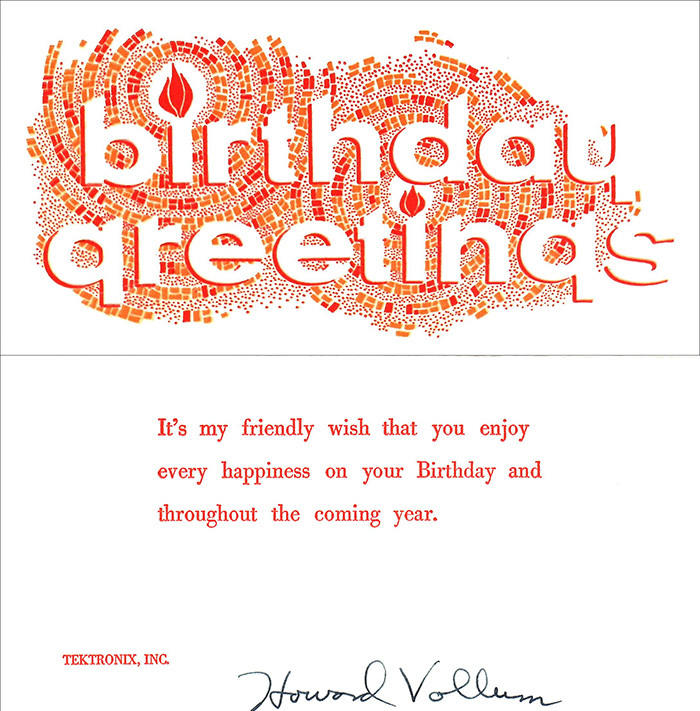 This card was also sent in 1970 and the top portion is the front of the card and the bottom portion is the inside of the card. The brown right side of this card folds over the text and the same design is on the rear which becomes the front of the card. This Christmas card is undated. The top portion is the front of the card and the bottom portion is the inside of the card.